With February 14th just days away, billions of us will be visiting the shops in hope of finding a loving gift or card for our special someone. Despite in being such a momentous day, the origins of Valentine’s Day are unknown by many. Yet, with over 1 billion cards sent every year, Valentine’s Day is the second most popular card selling holiday, with Christmas being the first. With so many wonderful ideas of how to make Valentine’s Day fun and exciting for you and your partner, why stop there? Why not consider ways to keep the online presence of your business fresh and exciting too? 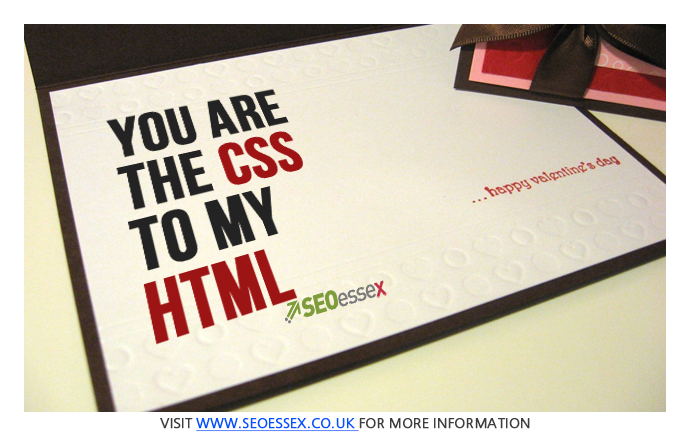 The old tradition of sending a Valentine card is that you keep it anonymous. So, rather than signing the card with your name, instead sign it with the words ‘From Your Valentine’. This romantic gesture is the perfect way to express your interest, whilst the object of your affection will be left guessing who their secret admirer could be. On the other hand, if your business remains anonymous online and your customers can not find you, your customers will never be able to love you for the business or server that you are. If you want to be at the top of the search engine results, it’s essential that your keyword selection is chosen carefully. When deciding upon your keywords, be sure to consider the terms your customers are most likely to enter into the search engine. Additionally, use facilities such as Google Adwords or Analytics to discover the best search terms – both local and global. Throughout the Valentine’s Day hype, masses of boyfriends, fiancés and husbands will stampede to the shops in search of the perfect gift for their other half. As a word of warning, flowers from the local petrol station is not advised. In actual fact, Valentine’s gifts for your lady should be given some serious thought, as a shocking statistic recently revealed that 53 per cent of females would end their relationship if their partner didn’t buy them a present. Provides the opportunity to make your business more personal to customers, enabling their trust for your business to rise significantly. If we said you could learn something from the Valentine’s sugary sweets ‘Love Hearts’ made by the Swizzel company, you’d be surprised. But it’s true! As you probably know already, each sweet features its own unique message. The company strive to ensure the messages are changed or amended to make sure they remain up-to-date in the world we’re living in. The few simple words featured are short and sweet, yet form a powerful and personal message. Making sure that you too keep an eye of changing times and trends, as this is a further factor that should be incorporated into your SEO campaign. Google regularly have algorithm updates, which means sites that are ranking on page one could be moved to page three or vice versa, sites ranking on page six could be changed to page two. The reason for these changes will depend on a variety of factors, but it’s up to Google who they place where and why. Your SEO expert will be able to provide more reasoning for this, so it is certainly worth asking for their advice. 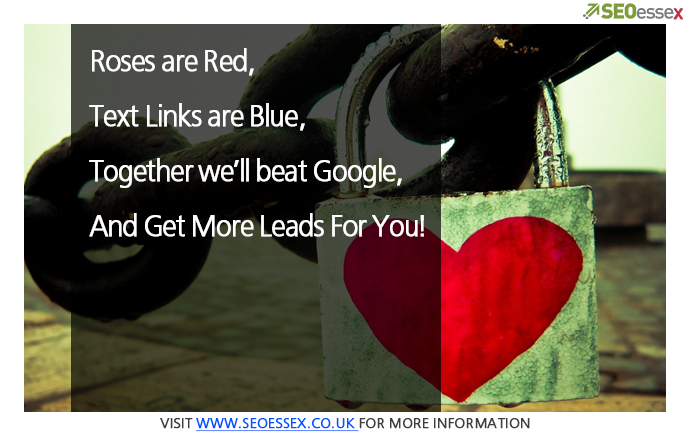 With Valentine’s Day approaching fast, it’s definitely time to inject some love into your business website with quality SEO and link building services. Even if you are reading this at 2am, don’t be shy, get in touch and we can talk.